I remember the Mear's era very well and he had very very good basketball teams. His problem was he had some mental problems which took him out of coaching a couple of times. How can one forget those wins against Kentucky and other really close games against UCLA, when they were winnning NCAA titles with all the bought players. Kentucky also cheated more than any N C or Duke. Mears packed the gym every game and I realize that Stokely only sat about 11-12,000, but it was a rocking place. I remember his first game against Duke on the road and the announce stated " it looks like Schultz against the world and Schultz is winning". Mears was likely the second best coach at Tennessee in the last 70 years and I have seen everyone of them. I think Barns is his only equal. This is a man who lost his first game to Kentucky as a freshman and swore he never would again. He didn't. Do go on about his leadership abiltiies. Sorry, but Bernard King is the most talented player to ever put on a Vol uniform. My guess is you didn't see him ever play in person. Just as a sidebar since Tennessee just beat Florida in Knoxville, King's last season in K-town, Tennessee beat Florida and King had 43 points and 20 rebounds in the win. Think about that for a minute. TN was actually 0-1 in the NCAAT with King and Grunfeld. It was versus Syracuse and teams weren't seeded (so it was in effect a 2 versus a 3 in the opening round). It went to overtime and King, Grunfeld, AND Jackson all fouled out. King did not play in the VMI game. We would be small but we'd have 5 guys that all could put up a quiet 30 on any given night! This 5 would be tough in today's game where the 3 has become so valuable! There really should be no argument over who is the best to ever play here. King has it all and I believe is easily identified as the Vols current GOAT. Grant Williams has a chance to overtake him but that will require him winning a NC, being a unanimous all-American this season and next, SEC MVP this season and next and win a POY. Who would the next 5 be off the bench. Would think guys like Tobias, Jarnell, Josh Richardson would have spots. JoSh Richardson. Too late a bloomer. Man Lofton was great but he may be a little too one dimensional for a list like this. Good point. I remember in the 2nd half, King went into the locker room and dressed out but was unable to play. 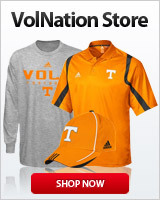 Still no excuse for Tennessee to lose to VMI in that game. Barnes and Mears are top 2 coaches in my lifetime but DeVoe may have been better than both until the NCAA introduced the shot clock and 3 pt line. Bruce Pearl is in the conversation with those 3 as well. What does Bone have to do to be considered the best PG to play at UT? Is he ahead of CJ Watson? Yes, I believe he is. They are right there neck and neck, at worst. And Bone still has a year of eligibility. Alan Houston was a great player on some terrible teams. He carried most of the load himself. I would think he would have to be in there. At this point, yes, he has proved his meddle. Watson was a very good point guard, but Bone has the intangibles that Watson didn't have. I've seen them all from the late 60's and on, and Bone does what no other can do. No Dale Ellis? No way Harris is ahead of Ellis. Harris only played one year at UT.